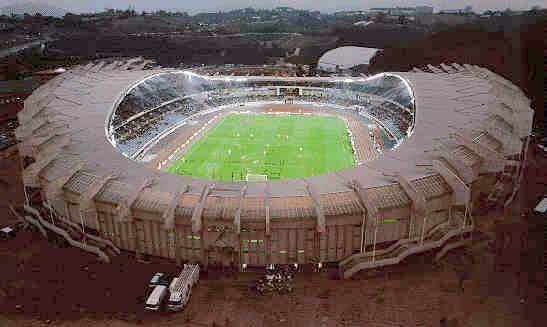 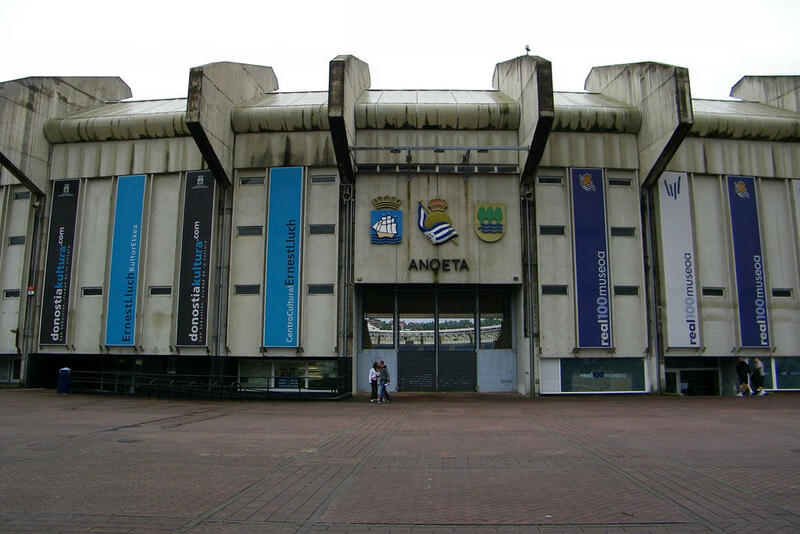 Estadio Anoeta was built in the amara district to replace Campo de Fútbol Municipal de Atocha opened in 1913. 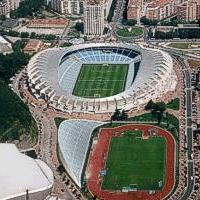 Exactly 80 years later the new venue was ready for operation. 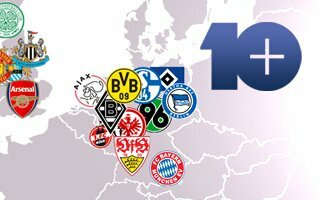 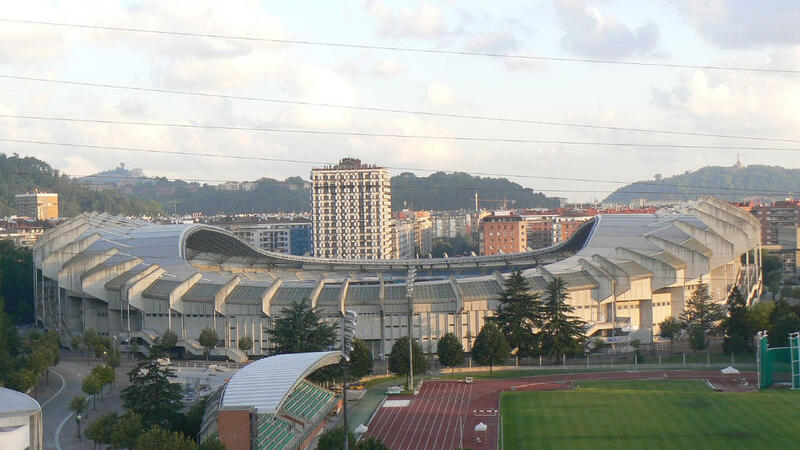 First event ever – Junior European Championships in Athletics on July 29th. 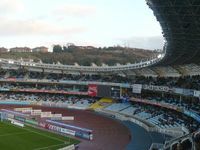 Two weeks later came the first football game between Real Sociedad and Real Madrid. 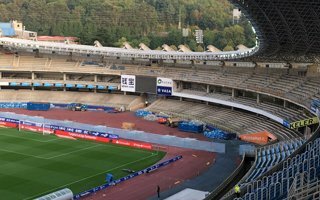 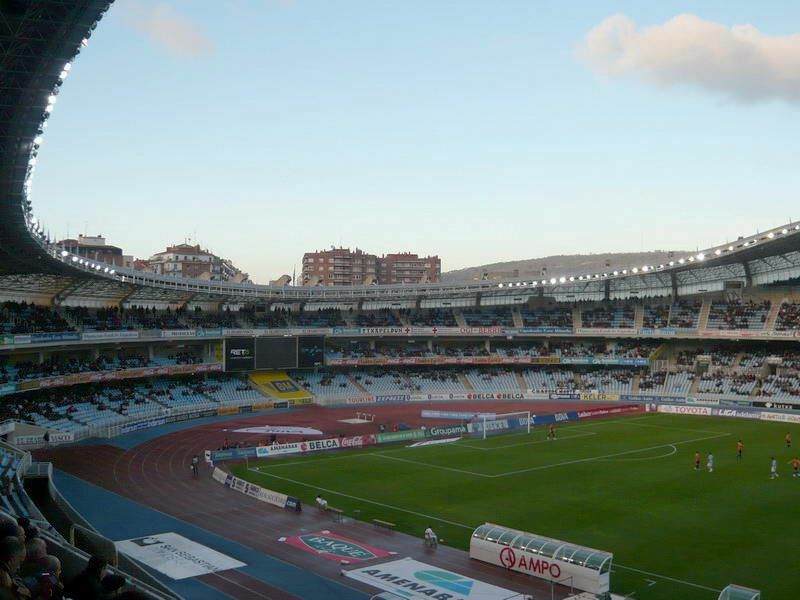 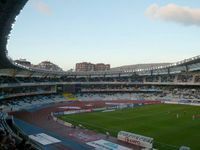 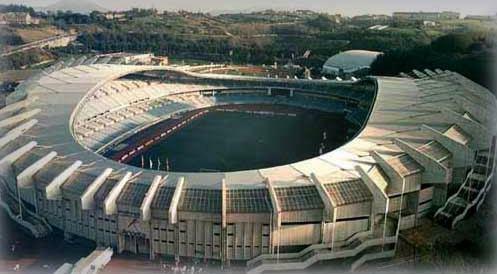 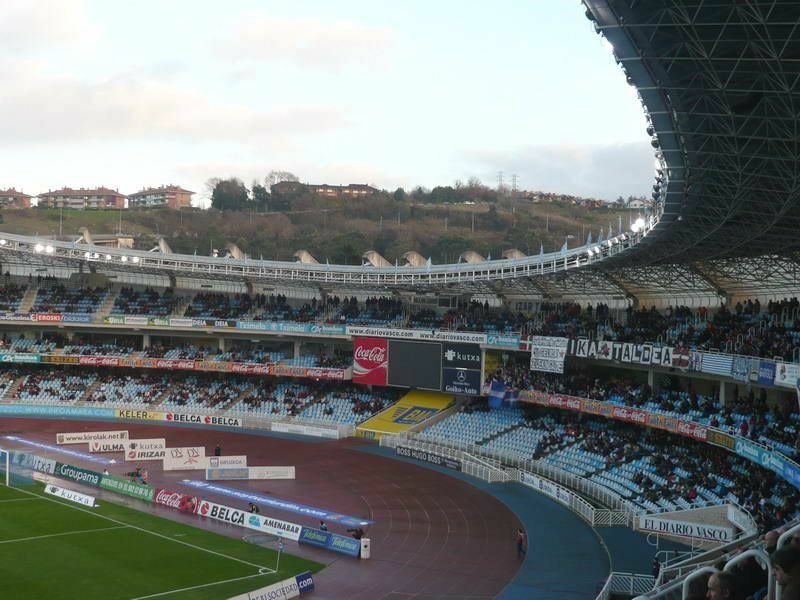 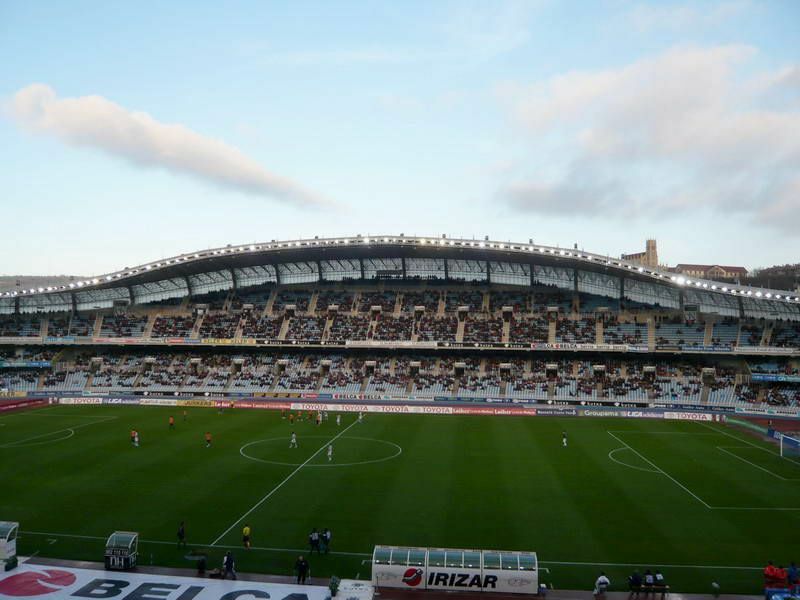 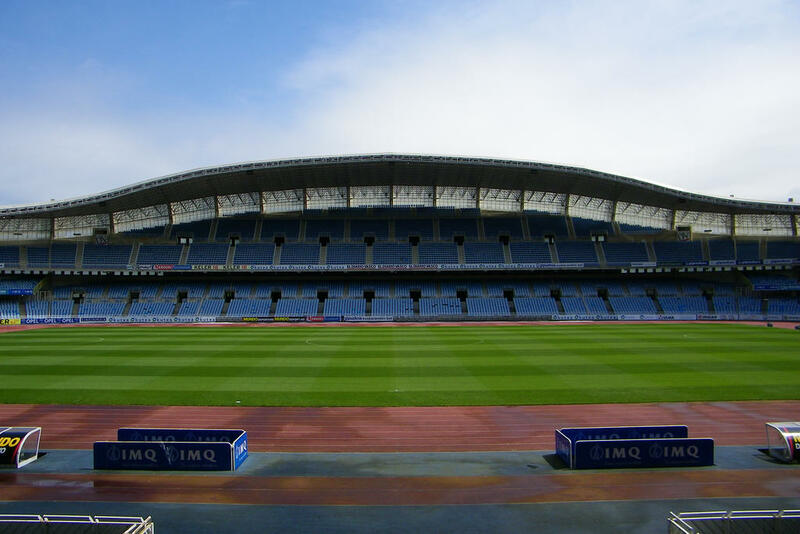 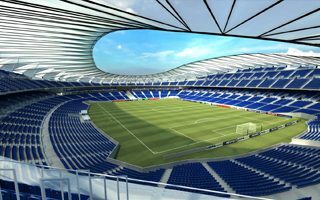 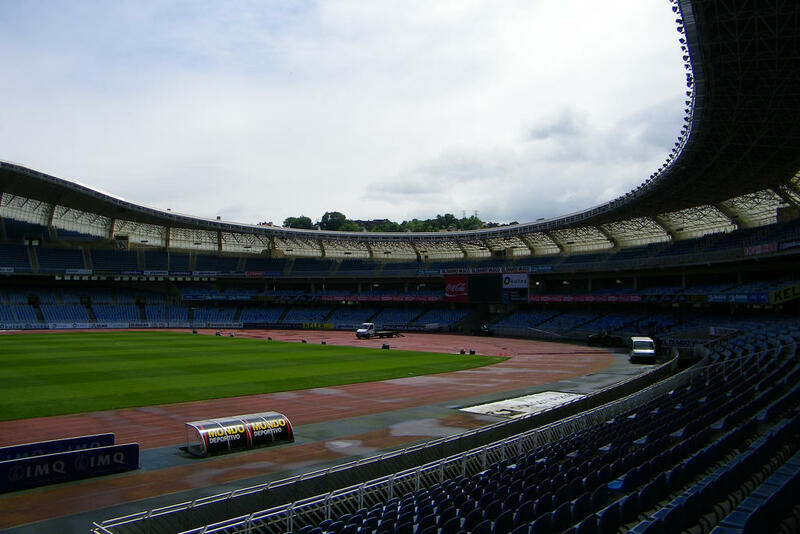 The first club play all their home games from the very opening, though in recent years they've been sharing Anoeta with two French rugby teams, for which it is the most suitable venue. 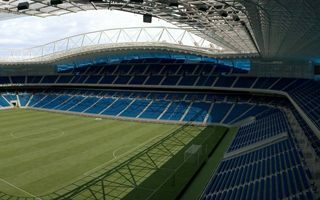 Anoeta is famous for its shape with stands of different height creating very dynamic impression. 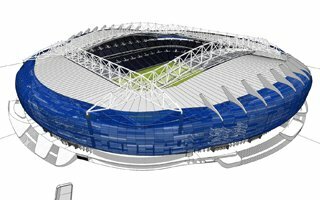 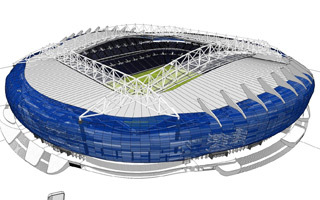 They're covered and roof massive supports create a very distinctive exterior appearence. 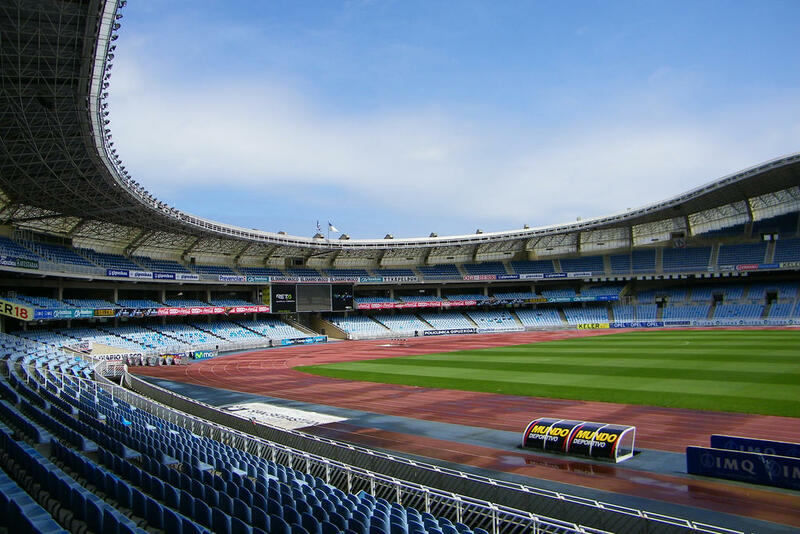 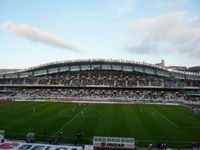 Apart from football and rugby it hosts athletics and major cultural events, both regional feasts and international concerts of top performers, inlcuding the likes of U2, Rolling Stones or Depeche Mode. 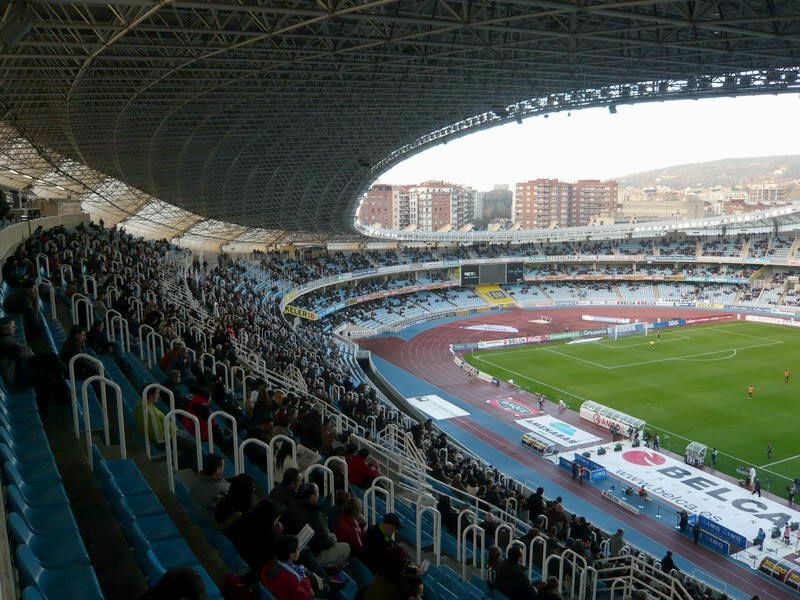 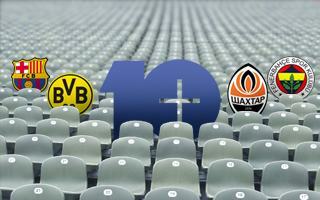 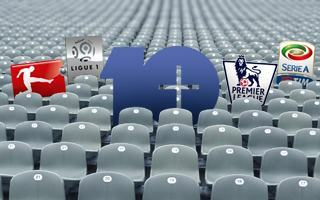 Underneath the stands there's room for offices of Real Socierdad, local football authorities and a sports museum.